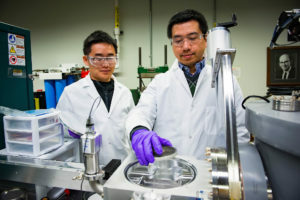 Purdue announced last month researchers have developed a means of changing aluminum’s microstructure to produce strength equivalent to stainless steel, and the alloys might have ramifications on collision repair someday. Zhang said in an interview Wednesday that the team has yet to test the tensile strength of the new aluminum (the metric collision repairers typically reference when working on automotive steel), but compression strength has reached 1-1.5 gigapascals (1,000-1,500 megapascals). “We hope tensile strength will also be high,” he said. The scientist said he saw both structural and nonstructural automotive applications, for the new aluminum is scratch-resistant as well as strong. “The coatings are very, very hard,” he said. If brought to market, that could make aluminum closures even more attractive than they’re already expected to be for OEMs over the next decade. The crystal lattice of a metal involves repeating atomic layers; scientists call absent layers “stacking faults” and dual layers of stacking faults “twin boundaries,” according to Purdue. While copper and silver are receptive to stacking faults, aluminum’s higher stacking fault energy make it harder to artificially induce them. The team figured out how to do both. A November 2017 Nature Communications paper describes a “shock-induced” 9R phase in aluminum, according to Perdue. 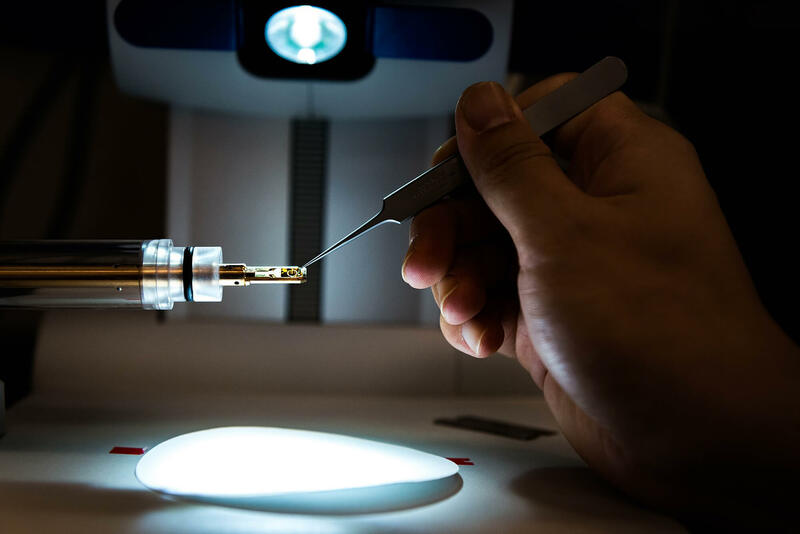 Rice University researchers who also worked on the project used a laser to shoot microscopic silicon dioxide particles into thin aluminum film at 1,342.16 miles per hour (600 meters per second). “Here, by using a laser-induced projectile impact testing technique, we discover a deformation-induced 9R phase with tens of nanometers in width,” wrote Purdue postdoctoral research associate Sichuang Xue, the study’s lead author. The technique could be attractive to a manufacturer for its reduced cost, based on another statement by Zhang. The nanotwins Zhang referenced are delivered through a different technique described in a Jan. 22 Advanced Materials paper. This method creates 9R phases by introducing iron atoms into aluminum with”magnetron sputtering,” according to Perdue. “Iron also can be introduced into aluminum using other techniques, such as casting, and the new finding could potentially be scaled up for industrial applications,” Purdue wrote. The team is now scaling up for larger production quantities. “We’re still trying to do that,” Zhang said. OEMs interested in the technology should contact Purdue; Zhang said Wednesday the team is looking for someone to take over its base patent. Correction: An earlier version of this story incorrectly stated the researchers had produced increased aluminum ductility. While they increased the strength of the metal, they did not alter the ductility in this fashion. The article has since been corrected to reflect this.